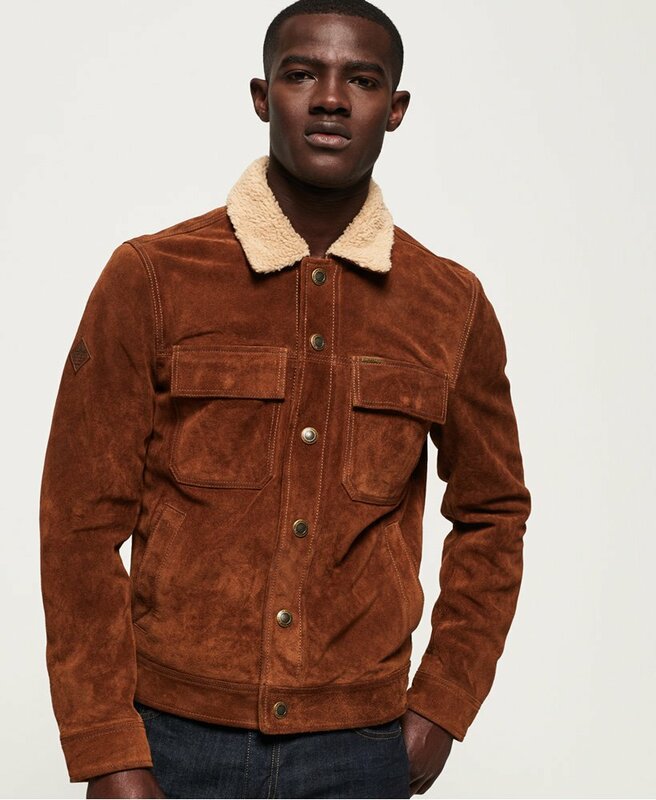 Superdry men’s Merchant Store suede trucker jacket. A premium quality suede jacket featuring a sherpa collar, popper fastening and four front pockets. This stylish jacket also features an inside pocket for added practicality, popper fastened cuffs and a plaid lining. The Merchant Store suede trucker jacket is finished with a subtle leather logo badge on the sleeve and a metal logo badge on the pocket.